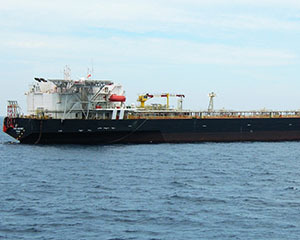 Japan Vietnam Petroleum Co. (JVPC), a subsidiary of JX Nippon Oil & Gas Exploration, has extended its contract with a MODEC Dutch subsidiary Rang Dong MV17 BV (MV17BV), for the charter of the FSO Rang Dong MV17. FSO Rang Dong MV17. Image from MODEC. The FSO is operating in the Rang Dong oil field, which lies within Block 15-2, offshore southern Vietnam since November 2008. The FSO is owned and operated by MV17BV. The time charter contract was initially for nine years until October 2017, with options for extension every year thereafter up to five additional years. The firm period has been extended to April 2025, with three one-year extension options, until April 2028. Before the time charter, MODEC carried out the engineering, procurement, construction, installation and commissioning of this newly built FSO. A MODEC group member, SOFEC, designed and provided the external turret mooring system for the FSO. Moored in water depth of approximately 60m, the FSO has a storage capacity of 350,000 bbl and a total inlet capacity of 60,000 b/d.